Learn how consumption patterns have changed in the last 50 years with this awesome Nat Geo interactive feature. 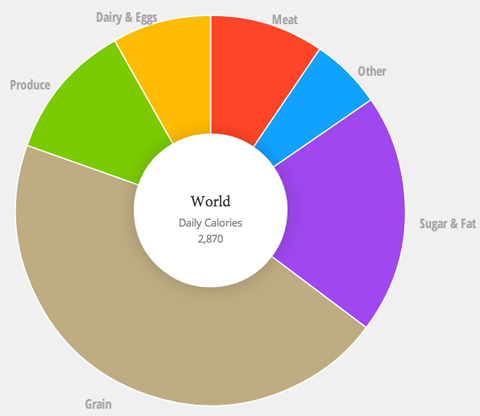 The Nat Geo team has put together an interactive tour de force titled “What the World Eats,” built in conjunction with Nat Geo’s Future of Food series. 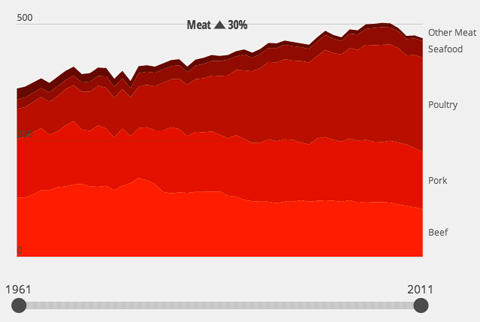 The feature shows how the world’s consumption patterns have changed over the last 50 years (from 1961 to 2011). 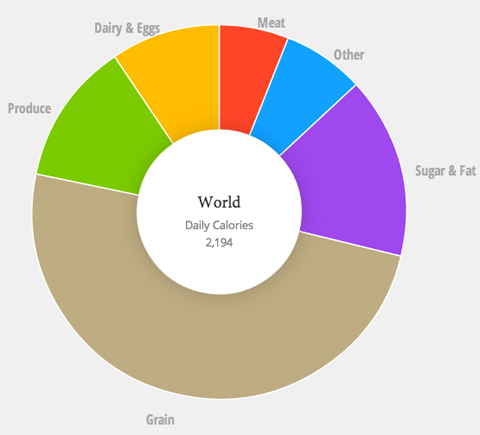 It also shows the quantities of food consumed per person in 22 different countries, as well as the breakdown by calories to measure how that food translates into fuel and energy. But that’s not all. 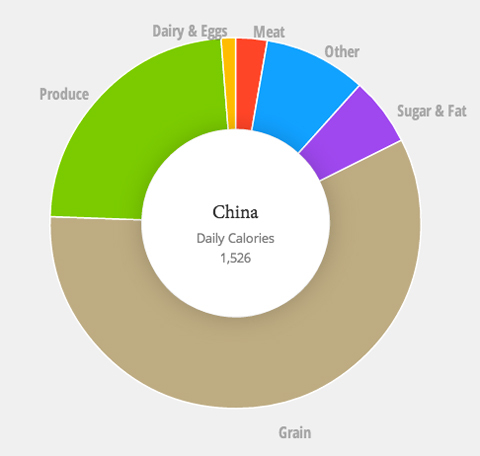 Click on the “Meat Consumption” tab, where you will learn facts like: Global meat consumption per person has nearly doubled since 1961, and Chinese consumers eat more meat, by calories, than Americans. We could spend all day playing with this. Here’s just a few super-interesting facts we learned from messing around with the charts. 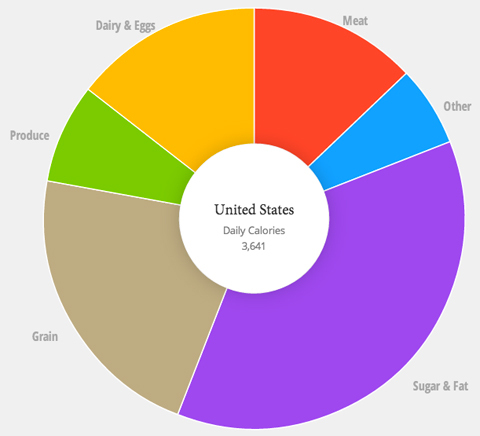 In 2011, that number rose to 2,870 calories per person. The pp avg. 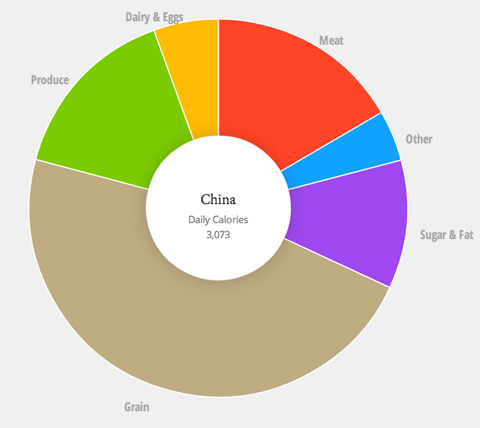 caloric intake is rising faster in China than in any other country in the world. 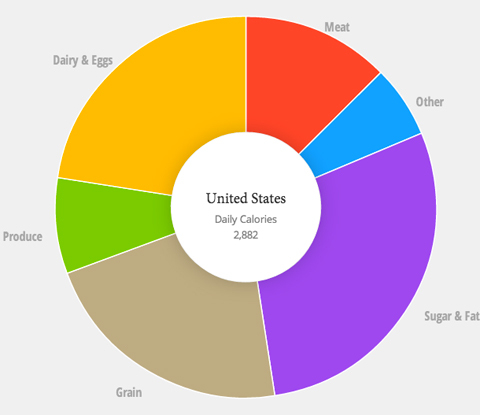 Average daily calorie intake per person in the U.S. in 1961: 2,882. In 2011, that number rose to 3,641 calories per person. People in the U.S. consume more than 2.5 times as many grams of vegetable oil per day than they did 50 years ago, according to Nat Geo. Increase in vegetable oil consumption accounts for more than half of the 26% increase in calorie consumption. 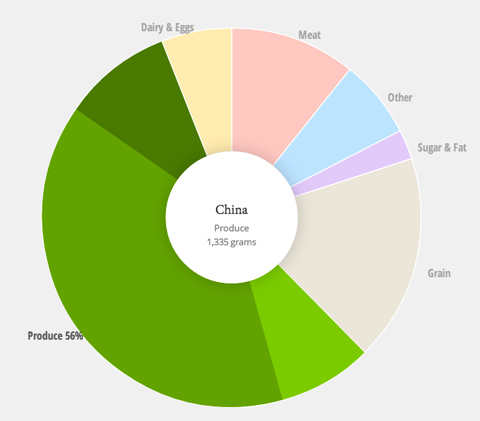 The average person in China consumed almost 20 times more grams of pork per day in 2011 than in 1961. 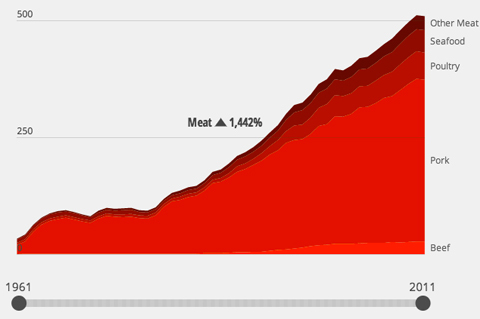 Meanwhile, beef has only grown by 50%. 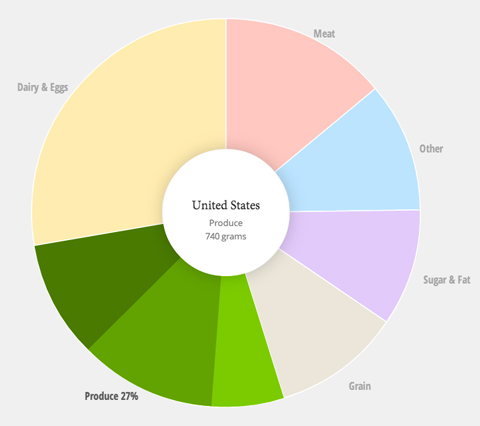 The U.S. consumes more meat than any other country—except China. Considering the sometimes-frightening reality of the meat industry—that’s also a bit concerning. Head here to glean more info about global and national consumption.